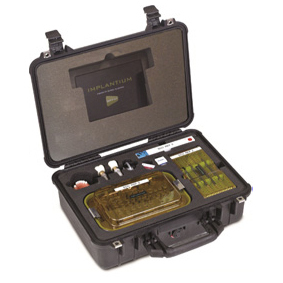 Implantium UK can offer the opportunity to see a variety of our products in the form of an EcoRep. The EcoRep is a portable kit which contains a tailored sample of our products that is delivered to you for your convenience. A collection is then arranged a number of days later at a time that is suitable for you. This gives you the opportunity to familiarise yourself with some of our main products at your leisure, completely free of charge. The EcoReps are equipped to facilitate video calling so if you wish to speak to one of our experts, our experienced team will be more than happy to answer any questions. 2 Where should we send your EcoRep? 3 What EcoRep do you need?